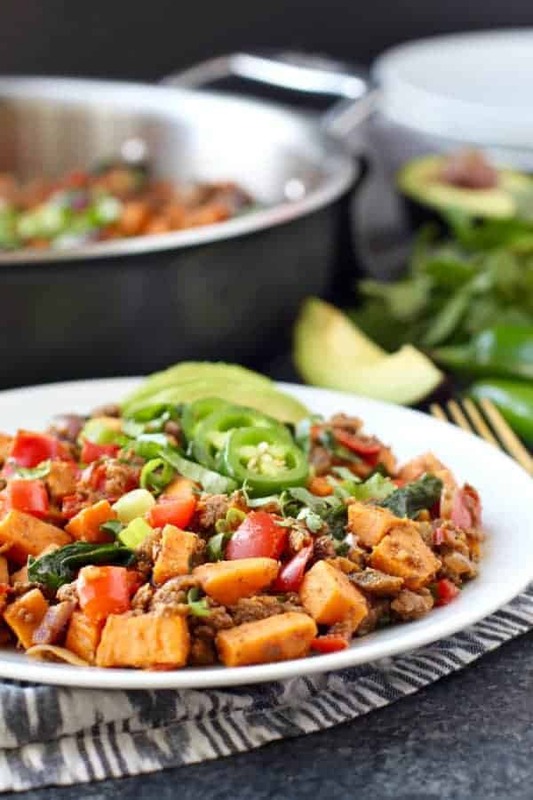 Make good use of leftover taco meat by giving this easy Tex Mex Sweet Potato Hash a try. A tasty Whole30 and egg-free breakfast option! Taco meat is freezer friendly, can keep in the fridge for a good 5 days, and the options with the leftovers are endless. While I love me a good taco salad, I also really REALLY enjoy this Tex Mex Sweet Potato Hash and I know you will, too! Savory and sweet flavors come together in this recipe with the combination of taco seasoned meat and sweet potatoes. It’s a perfectly balanced meal with quality protein, healthy fats, complex carbs and load of veggies. Feel free to add some heat with some jalapeño peppers or keep it cool with creamy avocado and cilantro. Top with whatever sounds good to you (I share some ideas below)…or nothing at all because it’s really quite delicious on its own. The world is your oyster my friend! Tex Mex Sweet Potato Hash is made with less than 10 ingredients. Woot! You know us, we like to keep it simple around here. Eating a wholesome and real food diet does not need to be complicated and does not need to require endless hours in the kitchen. No way! You’re going to love how quick and easy this recipe is and if you already have taco meat kickin’ around in the refrigerator or freezer, this recipe will take just 20 minutes of your time. Perfect for a weekend breakfast or busy weeknight supper. One pan is all ya need to make Tex Mex Sweet Potato Hash. I don’t know about you but kitchen clean-up is not my thing! Although, last night I needed to take a much needed break from work so a little therapeutic cleaning went down. Such a nice break from work and my fridge is squeaky clean inside and out! But that doesn’t happen too often so this recipe is perfect because it only requires one sauté pan, a cutting board and a knife, making kitchen clean-up a breeze. GIVEAWAY! And lucky for you because we’re giving away one of these gorgeous pans – valued at $325! Details coming soon, so make sure that you’re following us over on Instagram and subscribed to our email list. Giveaway will run from 5/21/17 to 5/24/17. Okay – back to the recipe! Add even more flavor to Tex Mex Sweet Potato Hash by topping it with cilantro, green onions, jalapeños, avocado, pica de gallo, salsa, fresh squeezed lime juice or a fried egg. If you’re not Whole30’ing, you could add a dollop of Kalona Super Natural Sour Cream or a sprinkle of shredded cheese. And we’re always sneaking in a little ghee whenever we can. 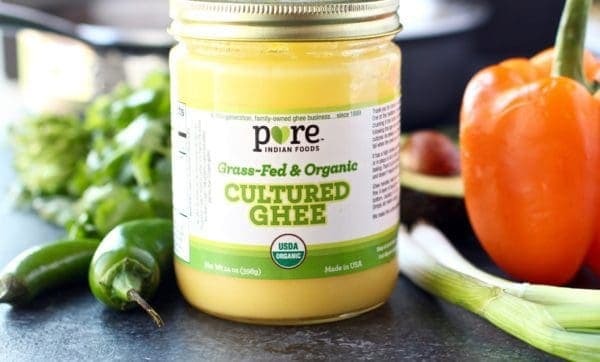 Pure Indian Foods ghee is our go-to as it adds such a delicious buttery flavor and perfect for sautéing and high-heat cooking. 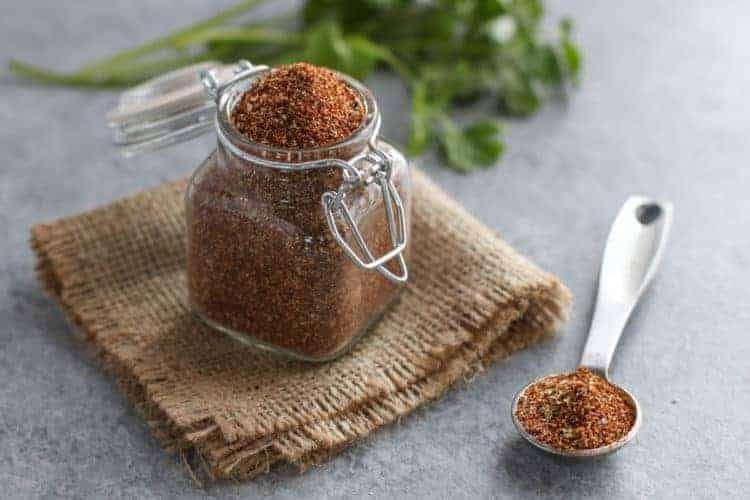 If you’re in need of a homemade taco seasoning, we have you covered! Click here for our recipe! Alright, let’s bring on the deliciousness! 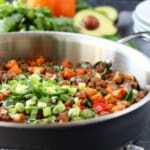 Make good use of taco meat leftovers by giving this easy Sweet Potato Tex Mex Hash recipe a try. A tasty Whole30 and egg-free breakfast option. Optional Toppings: Fresh cilantro, green onions, avocado, jalapeños, fried egg. Place a sauté pan over medium-high heat. Add beef, seasonings and water to the pan. Cook until beef is browned. Remove beef from pan. set aside. In the same pan the beef was browned in, add ½ Tbsp. of ghee and heat over medium-high until melted and hot. Add sweet potatoes, dash with salt and pepper, and sauté for about 10 minutes or until just before fully cooked through. Add remaining ½ Tbsp. of ghee, onions, red pepper and mushroom and saute for about 3 minutes or until vegetables are tender. Fold in spinach and taco meat and continue to cook until heated through and spinach is wilted. Comment below and let us know what how you like to enjoy leftover taco meat!! 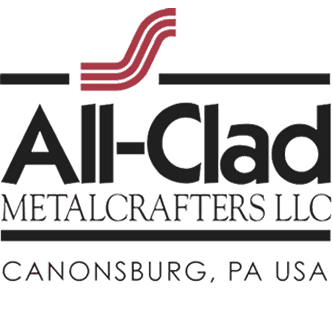 This post was made possible by our friends at All-Clad. 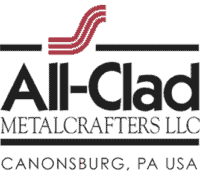 Though we received product in return for this post, the opinions expressed here are – as always -100% our own. Thank you for supporting the great companies we work with thereby allowing us to continue creating great recipes and content for you. How did someone come up with this idea? I would never have thought to put these together. I think I’ll surprise my family with some. Wish me luck! This looks amazing! Going to try it next time I’m craving tacos! A meal my whole family can eat (lots of food allergies over here)! Can’t wait to make this! To replace the meat with Trader Joe’s Soy Chorizo for my vegetarians. This looks amazing! I would eat it for breakfast lunch or dinner. Love versatile recipes like this! This looks so good. I will be making this tomorrow! Delish! Can’t wait to try it! Yum!! This looks delicious – can’t wait to try it! Cannot wait to try looks sooo yummy!!! That looks really good!! Reminds me of the defined dish’s sweet potato O’Brien. Been wanting some all-day pans for years now! Definitely making this next Taco Tuesday! Looks delicious ???? This will be my meal for the week even if I don’t win the giveaway! Love a good, simple recipe! ???? Looks perfect for meal prepping! 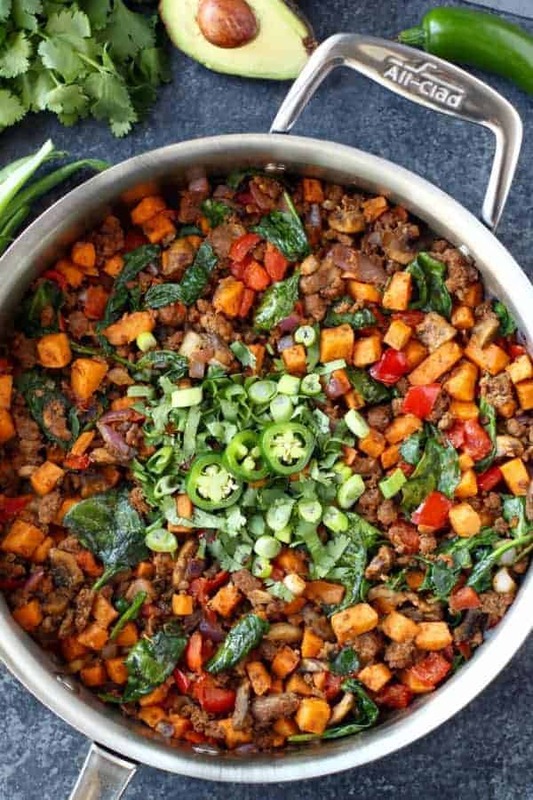 I love making a sweet potato hash with beef, but I tend to get stuck on the same old toppings. I need to trying this spin on it. Looks great! Hi! 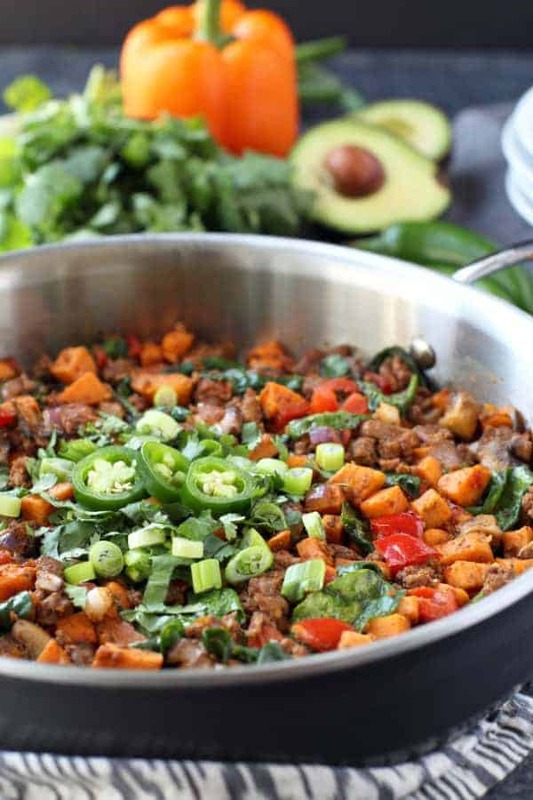 This Tex Mex Sweet Potato Hash has EVERYTHING I enjoy to eat in one pan ❤️???????????????????? I actually have taco meat in fridge leftover from yesterday. And I always have sweet potatoes so I will be whipping this up tomorrow for sure!!!! ???????????????????????????????????? This looks amazing! Something to add to my Whole30 breakfast list that isn’t eggs! I’m getting sick of eggs every day. This looks awesome, I can’t wait to try it! Thank you for sharing! What a great idea! I will definitely be trying it! Mine won’t look as good, but I’m sure it will taste yummy! I am SO making this! I got some ground beef at the farmers market and I was just wondering what to use it for. This, this, this! I haven’t made tacos in years. I usually make fajitas! I love sweet potatoes and will have to try this recipe! This looks delicious! Can’t wait to try it! I’m a Texas native who has lived in Denver for the past 6 years and I can easily confess that I miss TexMex on a daily basis! I am fallen in love with Denver, especially the culture of living an active, healthy lifestyle so this recipe is the perfect way for me to cure my TexMex cravings in a healthy way! Thank you for sharing! This recipe looks ah-mazing! Usually have all ingredients in my fridge so thank you for putting this together! Looks delicious! Can’t wait to try it. Love the ingredient list and the pairing of leftover taco meat with sweet potato! Sounds & looks yummy! My Hubby loves hash too – can’t wait too try! This recipe looks absolutely delicious & I cannot wait to try it! I use my left over Taco meat to make a Taco salad! Going to make for brunch this weekend ! Thx! in love with this recipe as i prep 3 lbs of taco meat at the beginning of the week for my lunches! i am definitely going to have to make this!!! This is the kind of recipe I like to make – quick, easy, nutritious and one-pan! It looks delicious. Everything this Southern California girl needs! (+avocado, claro). 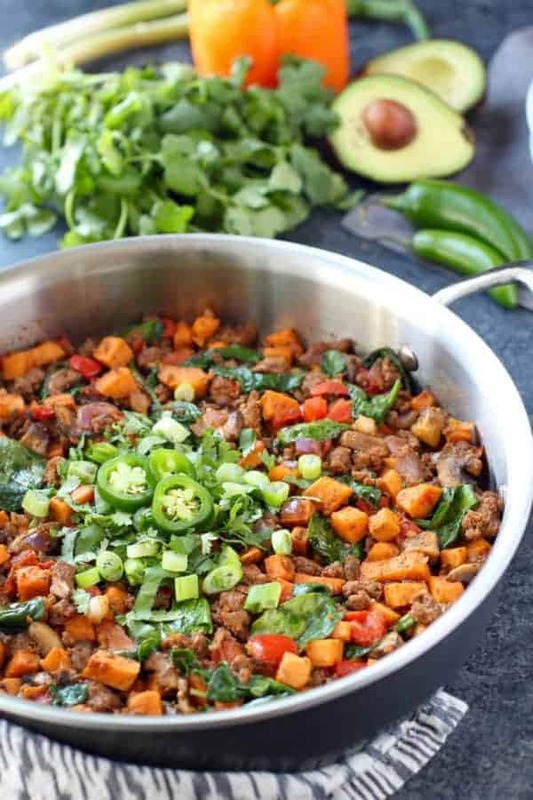 Your Tex Mex Sweet Potato Hash looks and sound amazing and it looks pretty easy to make and healthy so I will definitely be making this recipe in the near future! I usually make Chili with my left over taco meat which I love to serve over brown rice. 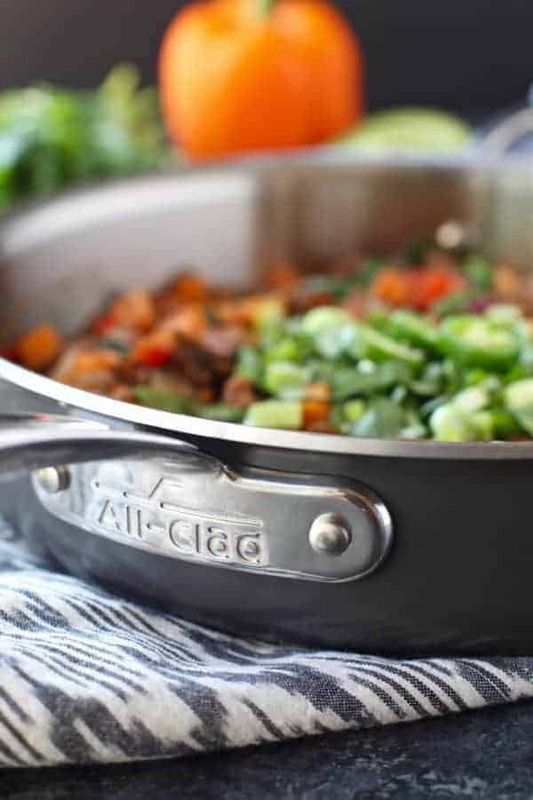 I would love to have the All-Clad LTD 3 Quart Sauté Pan in my kitchen as I can tell you right now it would be the pan I use the most. Currently, when I make one pan meals like chicken stir fry or chicken fajitas, my largest pan is overflowing. Thank you for sharing this wonderful recipe and Thank you for the great giveaway! This is fantastic! I loved it and it was super easy to prep. So great to hear! Love the additions you made! Thanks for the feedback about the taco seasoning. I’m so glad you found us! I made this dish last and it was SO delicious!!! I never tried something like this and it’s now my favorite dish to make! I love how savory and healthy it is! Yayyyyy! Glad you loved it, Holly! Thanks for finally writing about >Tex Mex Sweet Potato Hash – The Real Food Dietitians <Loved it! I love the idea of this dish. I am a little confused as why it’s labeled dairy free if you’re using ghee? Can I just substitute olive oil for the ghee? This recipe is so good!! Because lactose and the dairy-proteins are removed in the process of making ghee, people with dairy sensitivities can tolerate ghee. However, you can absolutely sub olive oil or coconut oil in this recipe. Hope you enjoy! This is my all time favorite breakfast! I like to swap kale for the spinach, it holds up to reheating a bit better and gives it a little more texture. Thank you for a wonderfully veggie-filled breakfast recipe! I’m so glad you love this dish and you’re right about the kale – thanks for pointing that out. I’ve edited the recipe to reflect that. Thanks!